Osram Opto Semiconductors, a leading lighting and technology company, earned a LightTrade Award from EdisonReport for its Osconiq P 3737, launched at LIGHTFAIR this year. Each December, EdisonReport evaluates products from lighting companies that were shown at various trade shows throughout the year and chooses the top 10 best products. Launched at LIGHTFAIR 2017, the award-winning Osconiq P 3737 provides versatile opportunities for high-quality and cost-efficient outdoor lighting. As such, it was recently recognized by the EdisonReport as one of the top 10 best products of the year. 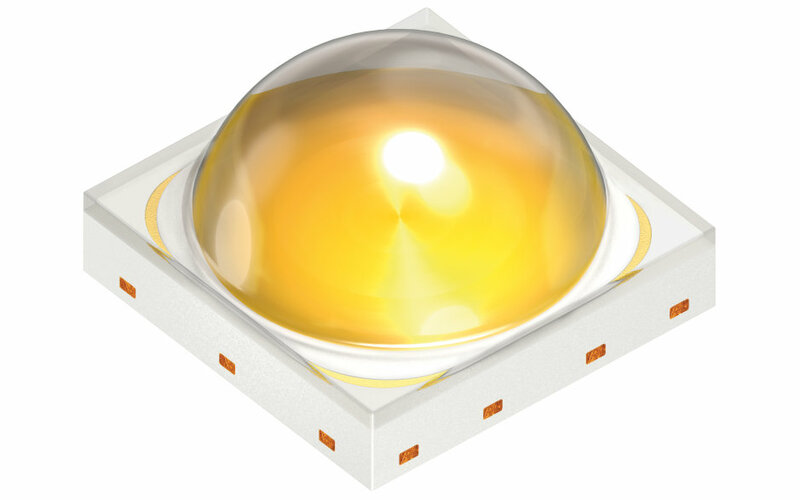 By offering epoxy-based packages that provide superior lumen per dollar, these LEDs are significantly more effective than costly ceramic-based LEDs, which have previously been used for professional exterior lighting applications. Judges were also impressed with the LED’s uncompromising reliability and performance. The series provides maximum light output with a minimized 3.7 mm × 3.7 mm package size, enabling very compact luminaire designs with a best-in-class performance of 473 lumens and 164 lm/w. This performance is achieved by utilizing Osram’s special automotive experience to combine competitive lead frame technology and high-power chips in the field of high volume products for general lighting use-cases.